I really enjoyed this sequel and read it in just a few days. I liked Charlotte as a heroine more than Jane from the original novel, since she has a more can-do attitude and spends less time feeling sorry for herself, even when she had more to deal with in her home life. 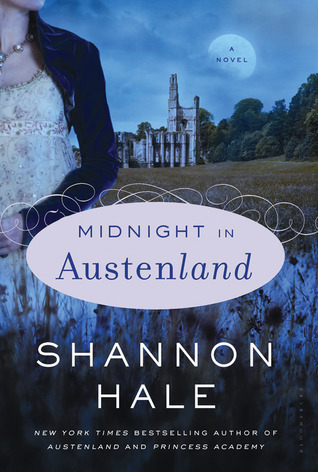 I also liked that we're mislead as to who the hero of the novel really is - let's just say it will probably be less of a surprise to those of you familiar with Northanger Abbey, the Austen novel this book is based on. We also get to meet with some of the characters from the first novel - Mrs. Wattlesbrook, Col. Andrews and Miss Charming, and learn more of their back stories. Overall I have to say I liked this novel more because there was more action involved in solving the mystery. If I have to be nitpicky, I did smack my forehead a number of times when the characters did some very silly things (without giving too much away, if you suspect there's a murderer in a cottage, you wait for the police, not go rushing in yourself!) I certainly hope we'll get to have more adventures in Austenland.